In their first full-length album, these guys have expanded their sound from their debut EP without ditching what we know to be The Happy Fits. 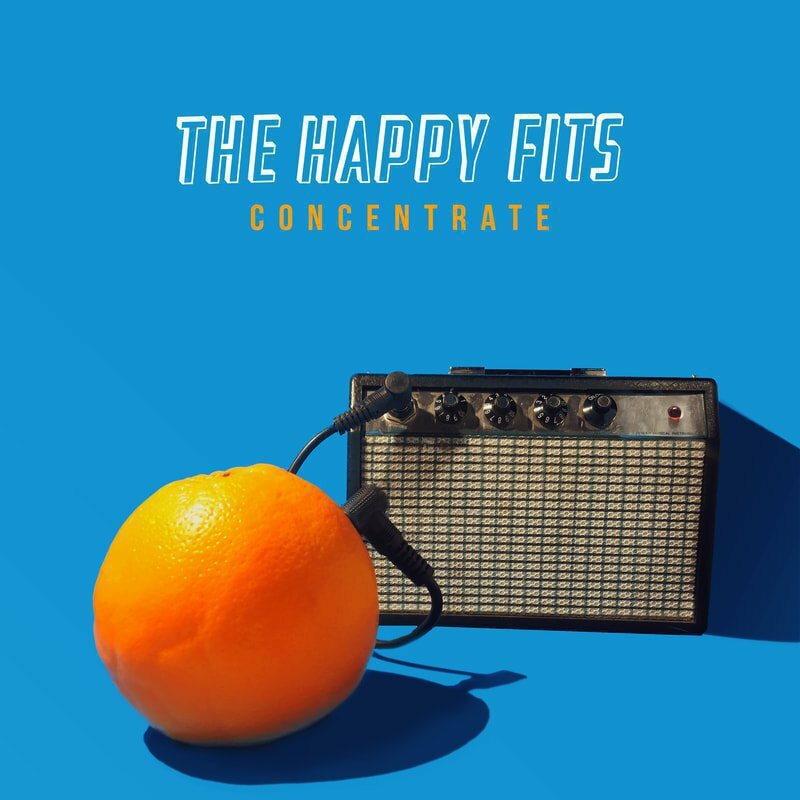 On Concentrate, they're showing us more of what they can do, and it's an equally impressive piece of work as their EP. The Happy Fits are a three-piece consisting of cello (often electric), guitar and drums. They have a very unique sound and it completely works. The melodies, written by their guitarist and cellist, are in the words of their dummer, "genius," and I couldn't agree more. The songs are catchy, not in the way of most pop music, but in a way that evokes real emotion. Their songs range from ballads to fast-paced stadium anthems (see "Grow Back"). Each member of the band sings, and most songs feature dual harmonies. They are versatile in their vocals, as well as their instrumentation. For example, their cellist serves melodic or rhythmic purposes, or anything in between. To highlight my favorites: "Best Tears" and "So Alright, Cool, Whatever." Both have great guitar riffs and progressions to go along with some of the most energetic and amazing melodies on the album. "Grow Back" is often used for call and response purposes in their live shows. It reminds me of "We Will Rock You." Lastly, "Reason for Dreaming" is almost all cello plucking with a guitar solo to end. It's slow and one of the prettiest songs on the project. In conclusion, the album and the band in general deserves to be heard. They are doing things that, frankly, no one else is doing. I highly recommend it.